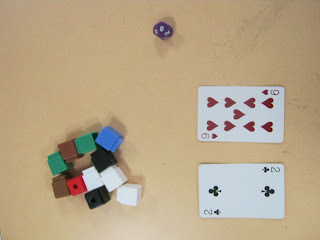 My Year 3 children were having trouble with division, so I took them back to the start! 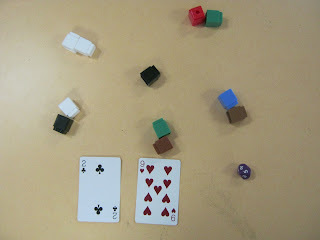 Firstly we collected a deck of cards, handful of blocks and a 10 sided dice. Then we turned over two cards, added the number together and collected that number of blocks. 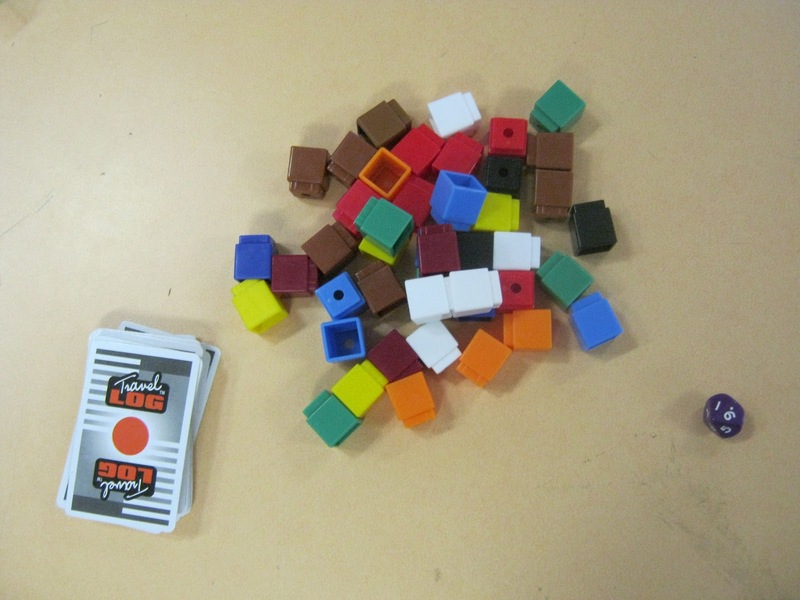 Then we rolled the dice and separated the blocks into that number of piles. It sounds basic and really easy for Year 3, but the discussion that came out of it was amazing! Children discussed remainders, fractions, times tables and subtraction! To extend some students further, we added in the Jack (11), Queen (12) and King (13) cards as well as the Joker (worth 20) so they were turning over larger numbers! A great success!